Most people know that eBooks are growing. 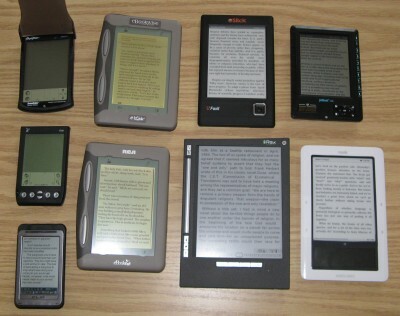 They see hordes of people reading eBooks on a plethora of devices while sitting in cafes, riding the subway or a plane. Will physical books suddenly disappear? Not in the lifetime of anyone reading these words. But, it’s inevitable that fewer physical books will be printed. And, when fewer physical books are printed, there will be fewer books sitting on bookstore shelves, and the cycle will continue. eBooks have been around for quite a while. Project Gutenberg, the organization devoted to creating an eBook library of books in the public domain was founded in 1971. No. That’s not a misprint. 1971. You can read more about the founding of Project Gutenberg. And, more recently, in the 1990s, eBooks started their slow ascent via early, clunky eBook readers like the Rocketbook to the early PalmPilot and Visor PDA devices. On November 19, 2007, Amazon began selling the Kindle, and the book publishing earthquake began. Adult eBook sales were $282.3 million while adult hardcover sales were $229.6 million during the first three months of 2012, according to the latest stats from the Association of American Publishers (AAP). Those chuckles mentioned above are now groans as the book publishing industry grapples with its future. Another eye-opening stat from the AAP study, children are leaping onto the eBook bandwagon in a major way. eBook sales in the YA/children’s category increased almost 233 percent in the first quarter 2012 to $64.3 million. If you’re interested, you can read the AAP study.